This topic contains 11 replies, has 2 voices, and was last updated by Rob Crombie 1 year, 8 months ago. Here is almost the same TEST number. Please help me to register it step by step. 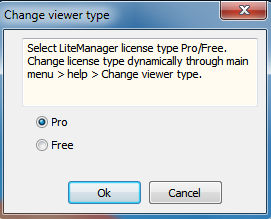 I followed to LICENSE MANAGER but don’t know how to add the key. This is not the pro version, but the free version with some sort of test key which gives us one more server to put in the addressbook. The pro features like RDP, video chat and talk, device manager, screen recorder, remote server settings etc… are NOT included in this key. That’s a pitty, because even without a key one has the features we get in this ‘giveaway’. The software has a very large resemblance with Remote Utilities which has, even in the free version, all features available. The only restriction in Remote Utilities is that one can only put 10 hosts (servers) in the addressbook. In most cases that is enough, and otherwise one can buy a license to extend the number of hosts. I wonder how this compares to TEAMVIEWER? I won’t be able to install this on the PC I want to control since I’m far away. Is there any way I can install it when I go there next week or will it be too late since by then I then be beyond the deadline date? I had to manually download the viewer. 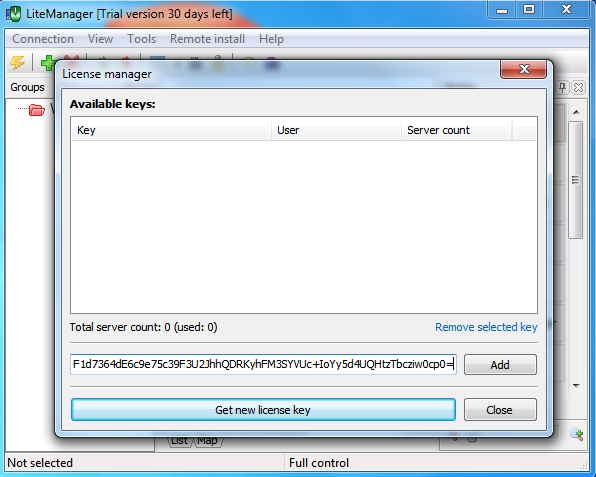 I entered the license key, and it tells me to restart the program. I do that, the Pro Version is still locked (although I checked the “Pro” circle), and have done this several times. So far, no luck. I’d like to get it registered because it didn’t mention earlier to get the IP address of the Server (my work computer), and I won’t be able to do that until Monday. Not too many people would realize that, even if they are on their (Remote Utilities) main web page. There is a single reference to a free license, that many would miss.